During excavation work in the area to the northeastern side of Amenemhat II’s tomb in the Dahshour necropolis in Giza, an Egyptian archaeological mission has stumbled upon eight graves from the Late Period. 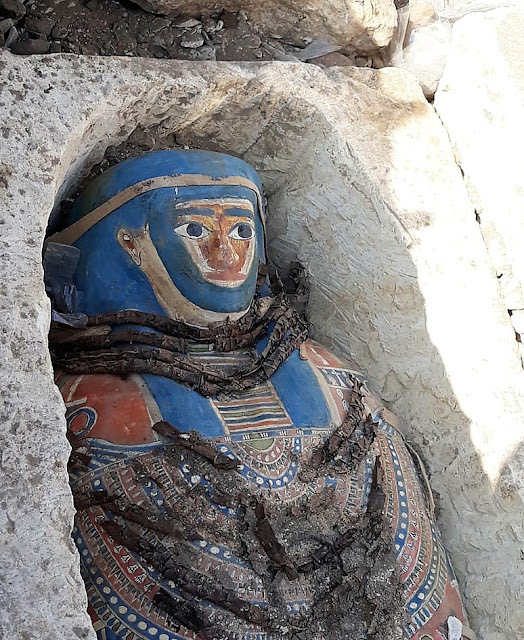 Mostafa Waziri, secretary-general of the Supreme Council of Antiquities, explains that the graves contain limestone sarcophagi with mummies inside, three of which are in very good conservation condition. 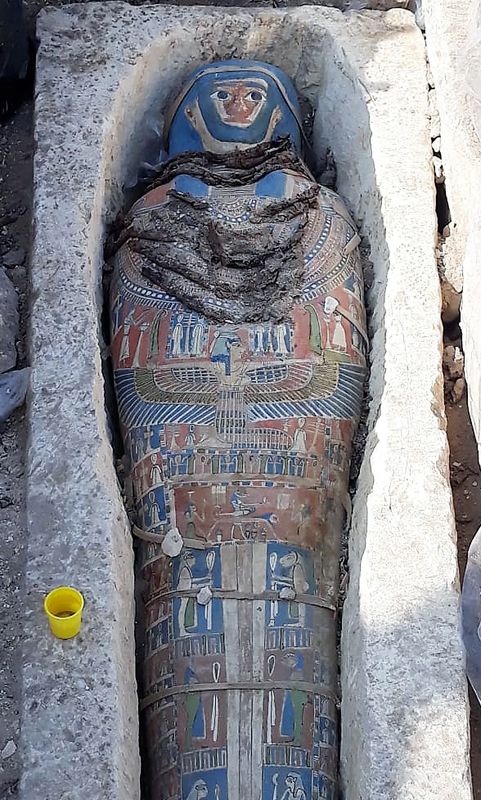 The mummies are covered in cartonnage adorned with paintings of the faces of the deceased. The cartonnage is painted in blue, brown and green. 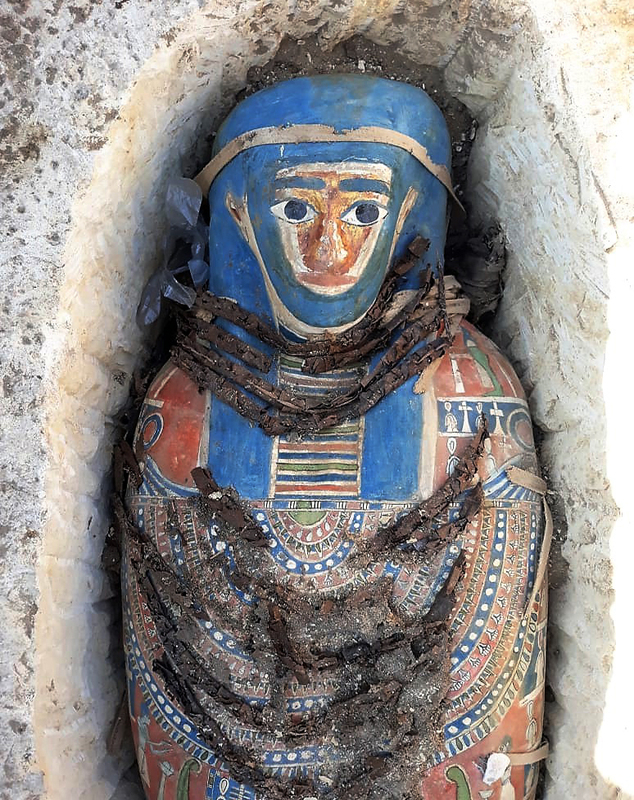 Waziri said that the mummies have been taken to store galleries for restoration and suggested that they could be put on display at the newly established museum in Sharm El-Sheikh or Hurgada. 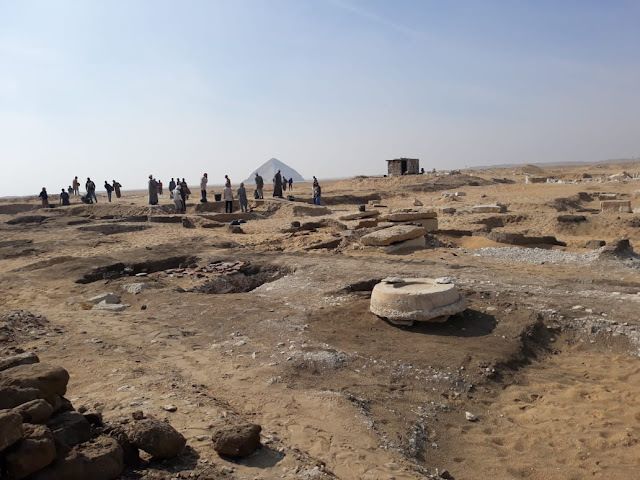 Dahshur is a royal ancient Egyptian necropolis that houses the Bent and Red pyramids of the fourth dynasty pharaoh Sneferu, as well as the black pyramid of pharaoh Amenemhat III, among other royal pyramids.